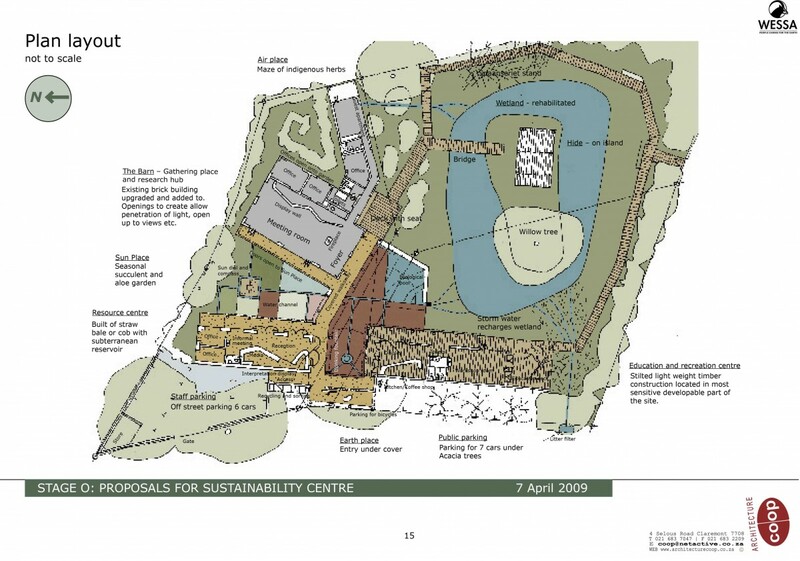 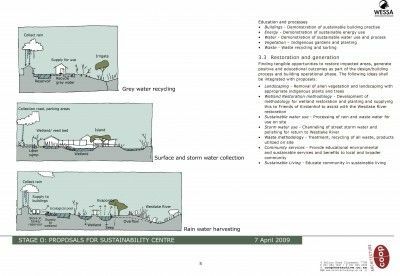 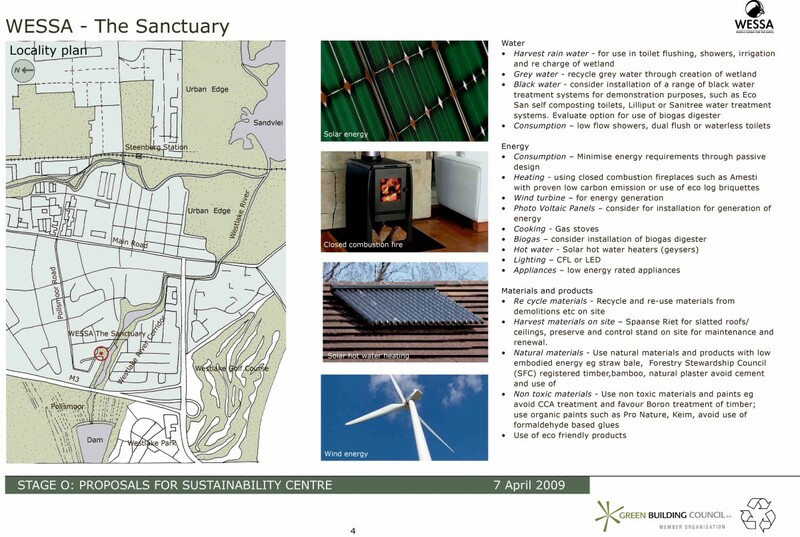 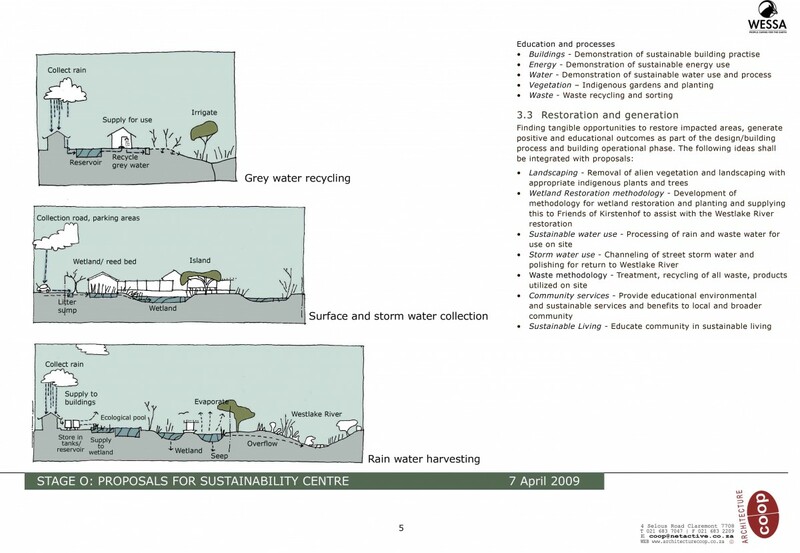 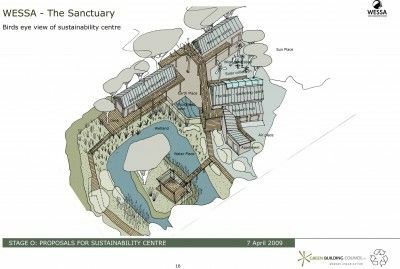 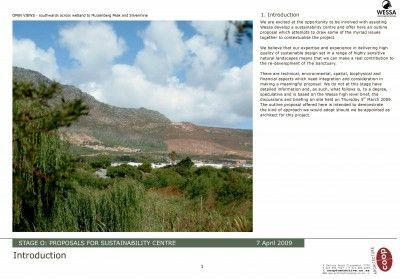 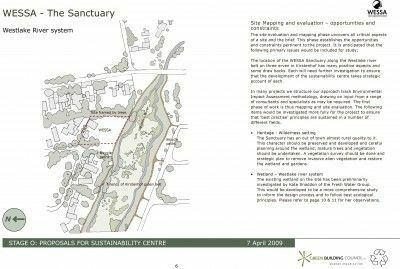 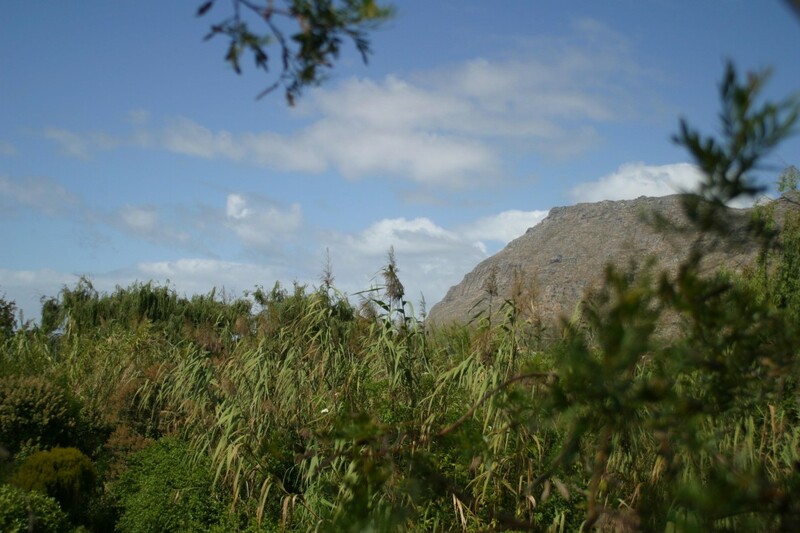 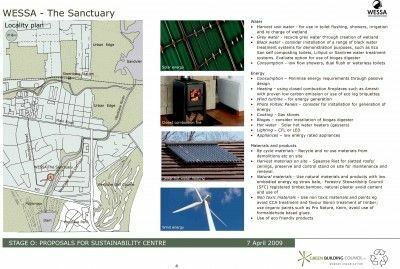 This proposal is for the development of The Sanctuary" into a vibrant Sustainability and Education centre for WESSA (the Wildlife and Environment Society of South Africa). An intimate campus focussed on the small seasonal wetland of the site and the Westlake River System. A dynamic, integrated indoor/outdoor spatial plan - linking buildings, people, and the environment. 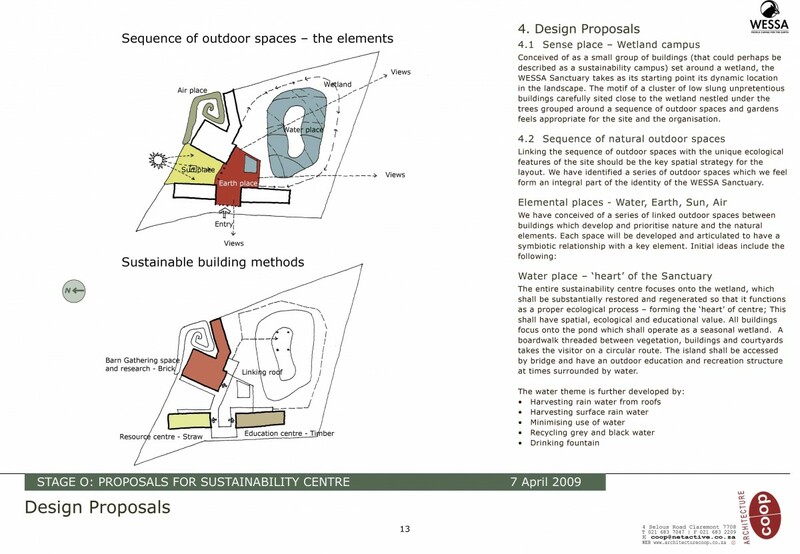 Comprised of The Gathering space, ""the Barn - a meeting and research facility; The Resource Centre; The Education Centre - training, workshops, education spaces with coffee shop; all linked through a sequence of elemental ecological orientated outdoor spaces to form a symbiotic relationship between buildings, people and ecosystems. 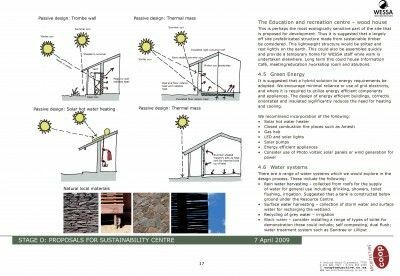 The design strategy was to develop best practise sustainable design and construction methods - demonstrating to the public appropriate sustainable construction methods, design practice and technological solutions.